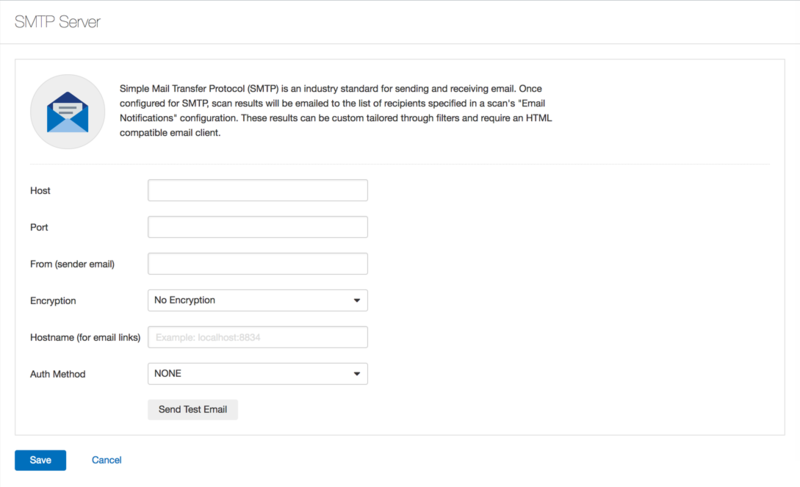 The SMTP Server page displays options that allow you to configure a Simple Mail Transfer Protocol (SMTP) server. When you configure an SMTP server, Nessus emails scan results to the list of recipients that you specify. Note: To configure an SMTP server for Nessus, you must have an HTML compatible email client.